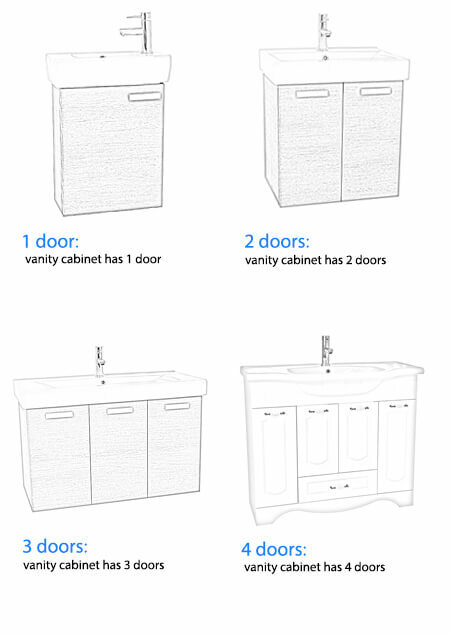 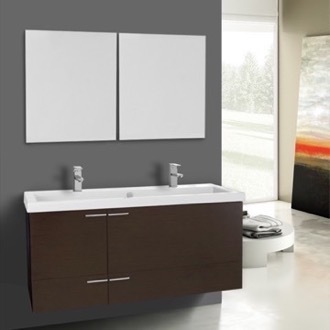 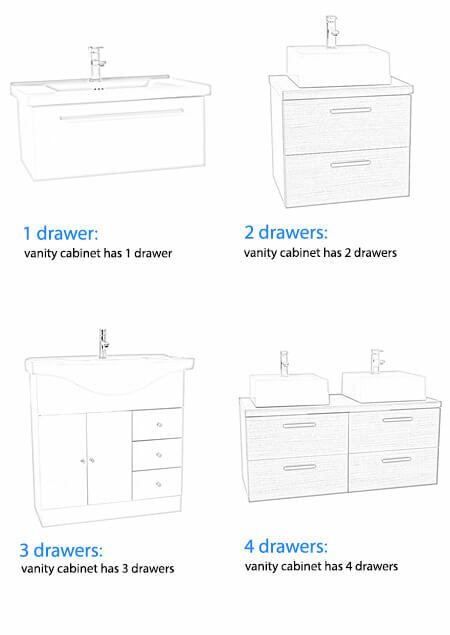 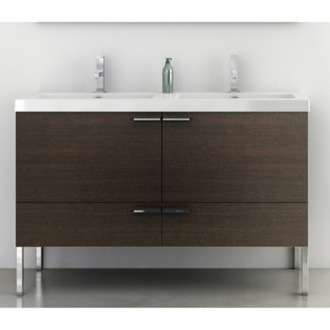 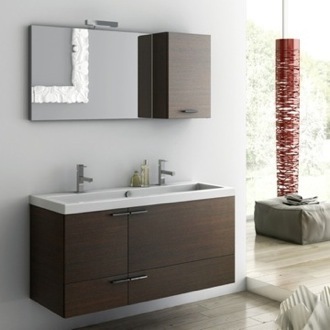 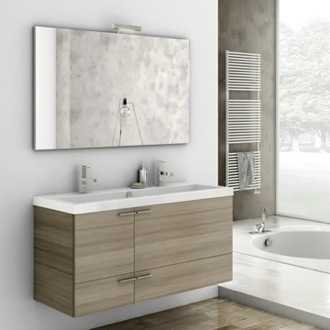 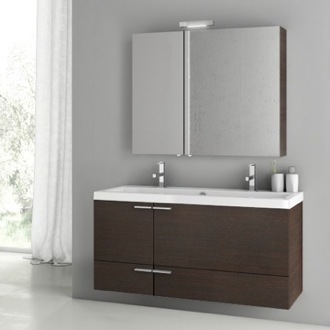 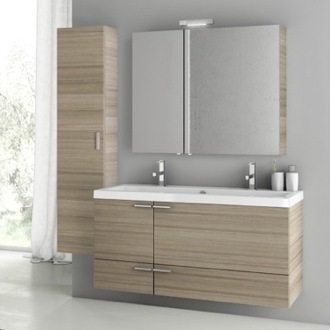 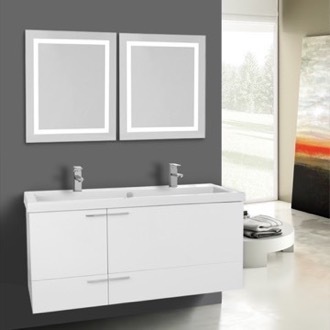 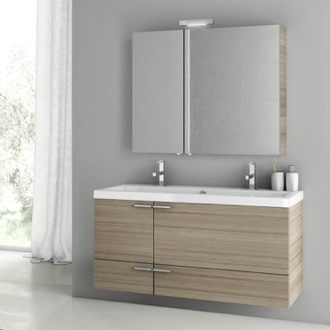 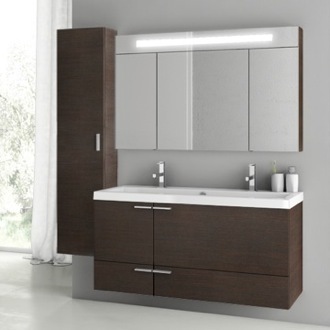 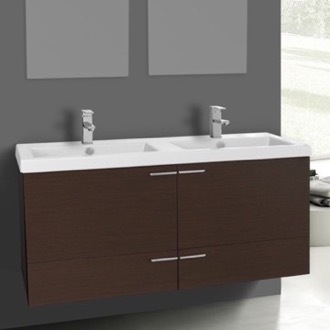 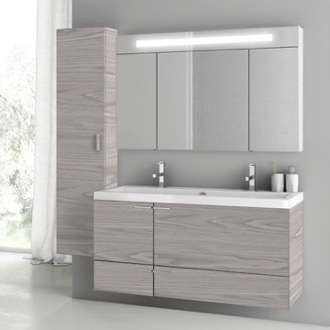 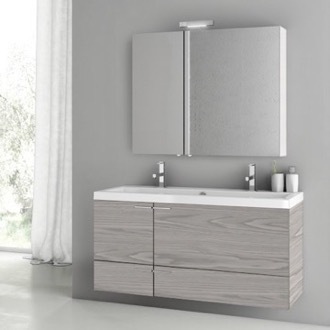 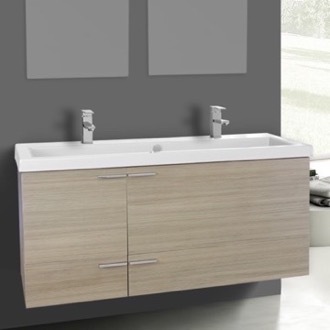 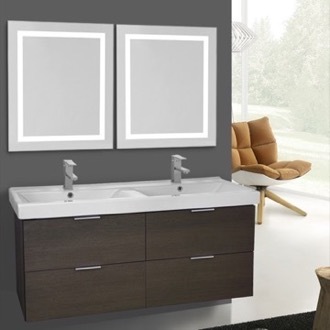 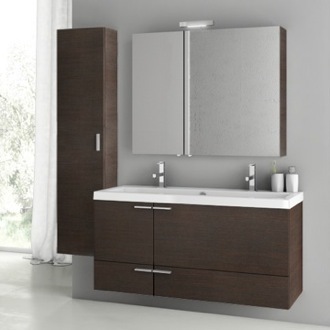 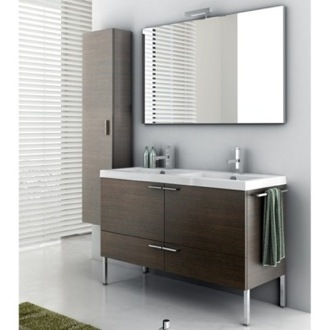 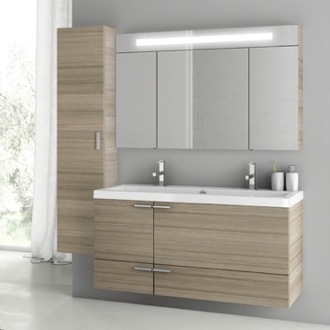 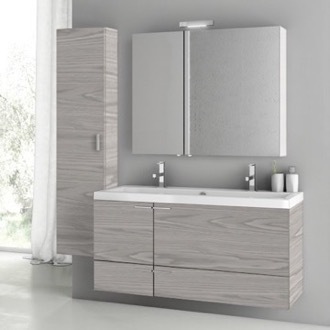 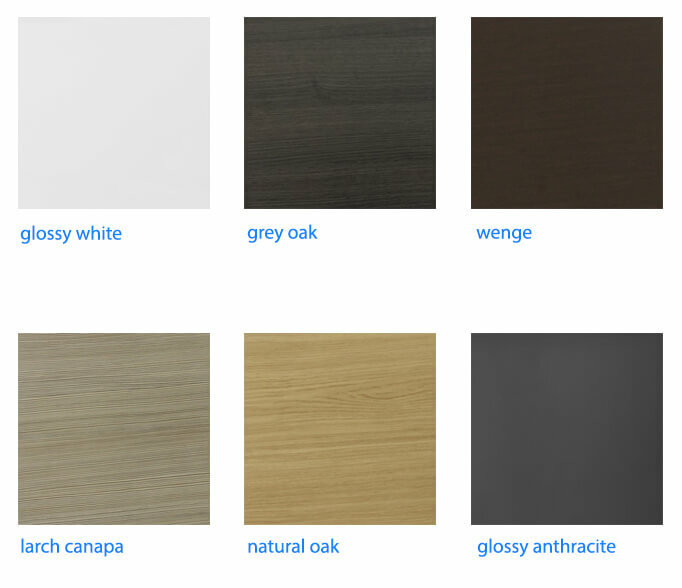 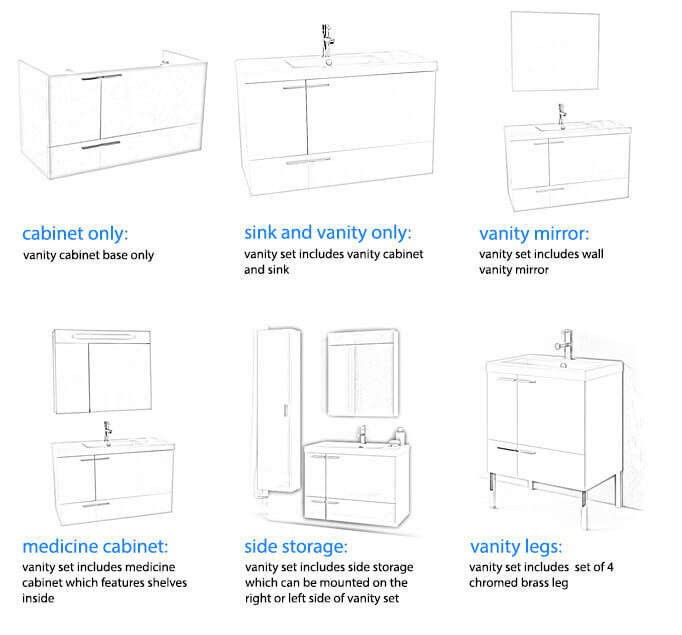 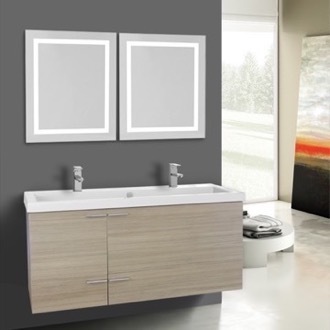 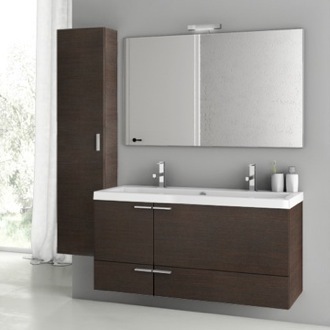 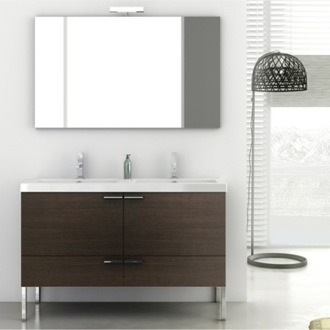 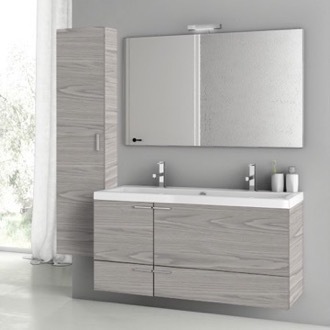 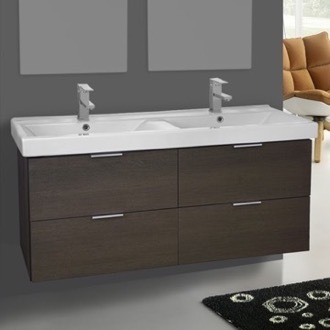 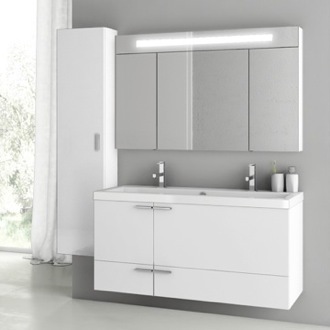 Shop our selection of 48 inch bathroom vanities and get FREE shipping on all orders over $99! 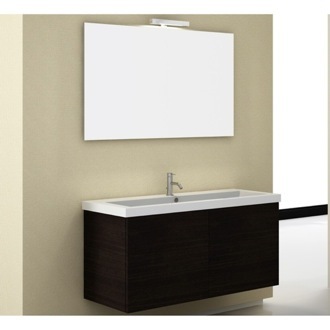 When you have the space for it, a 48 inch bathroom vanity is the way to go. 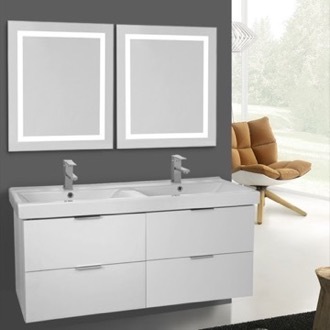 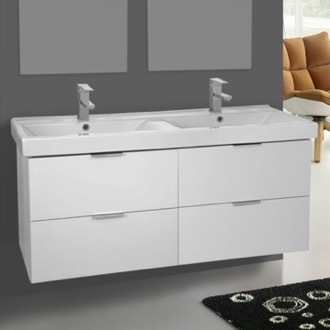 Almost all 48 inch vanities are double sinks, however a single sink option can leave you plenty of countertop space or creates a dramatic oversized look. 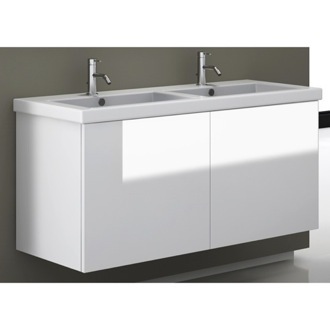 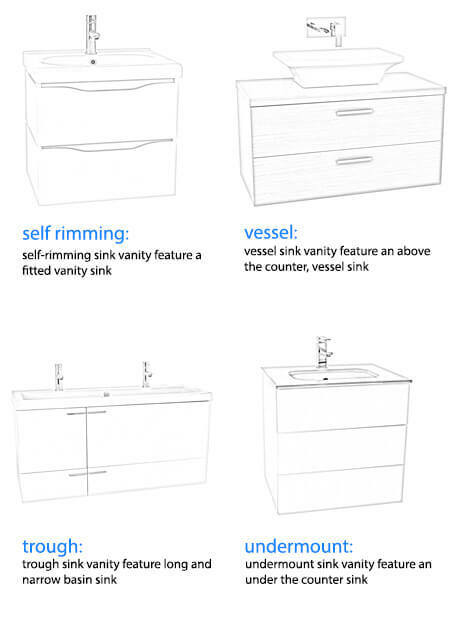 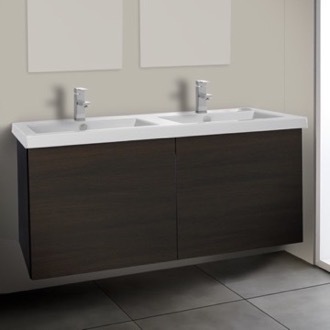 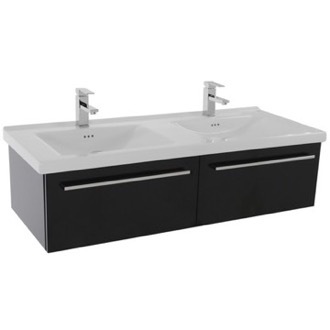 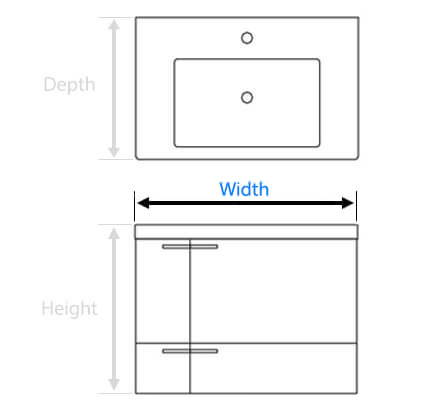 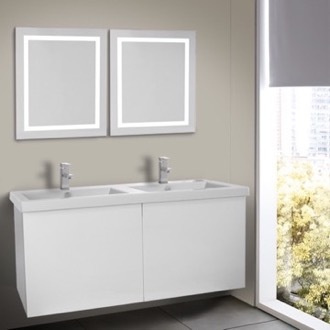 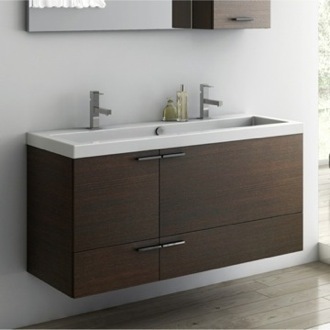 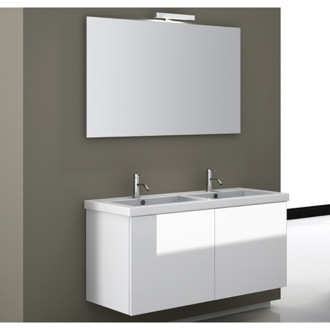 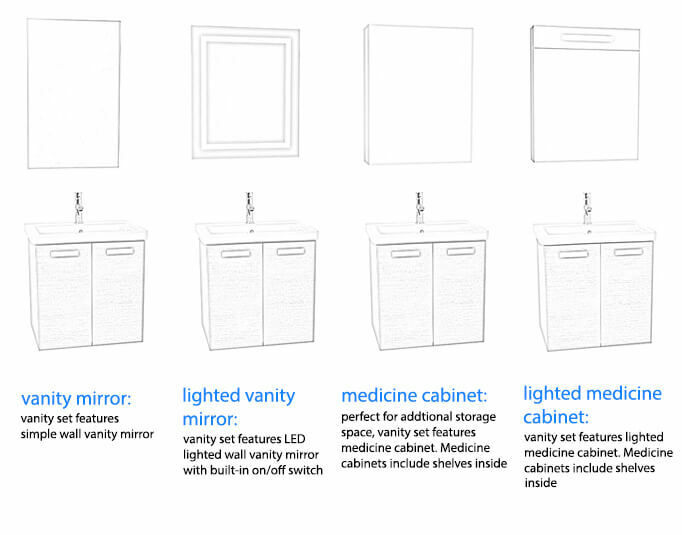 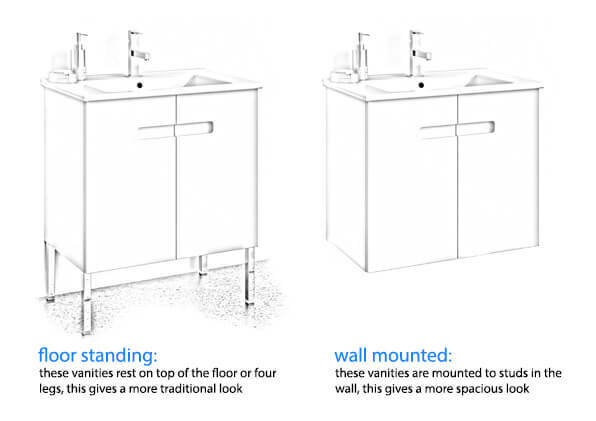 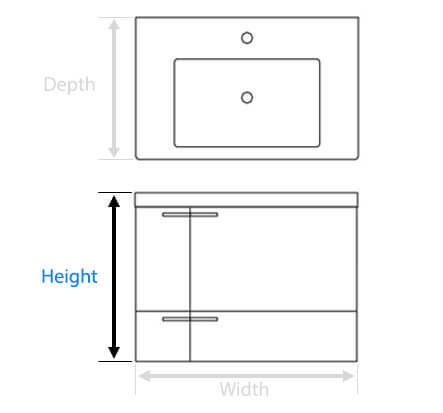 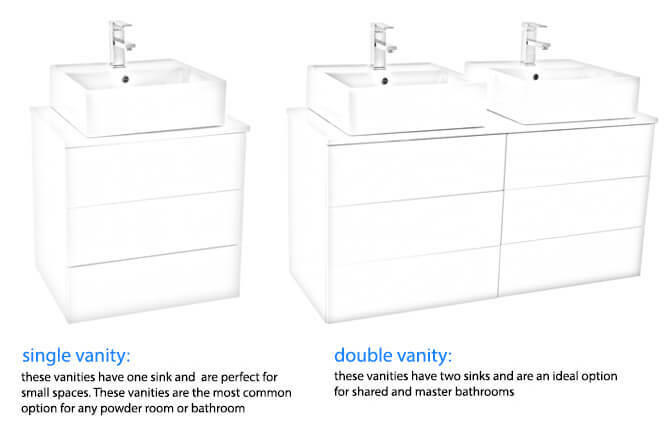 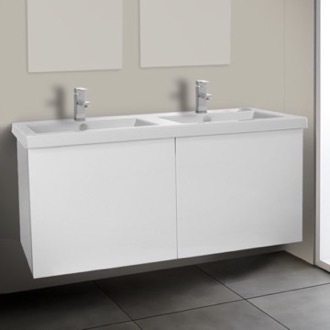 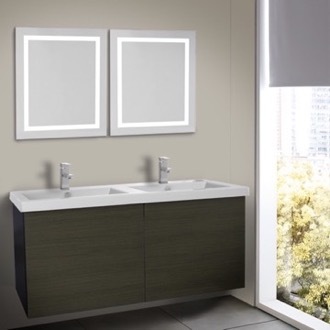 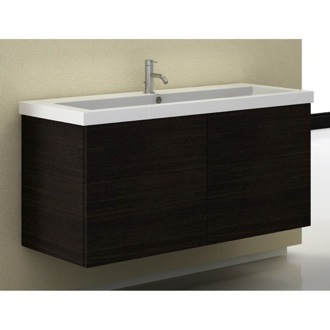 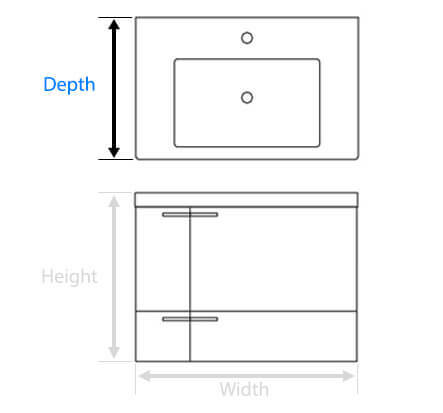 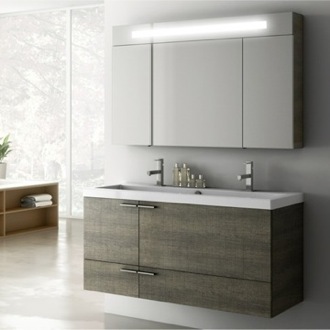 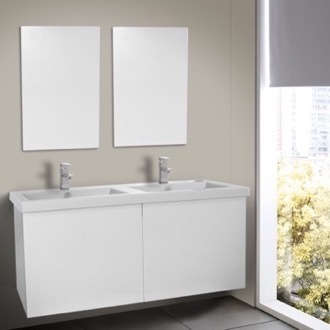 Large-sized vanities are often floating or wall-mounted, but you can find a select number of standalone sinks. 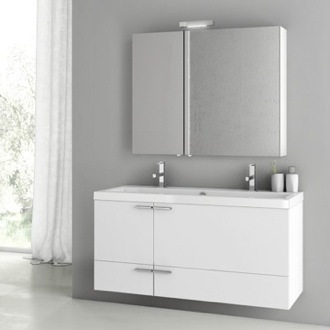 To maximize storage, keep an eye out for 48 inch bathroom vanities with matching mirrors, medicine cabinets, or coordinating wall-mounted cabinets.